Following the University of Ottawa administration’s recent decision to end their agreement with the Student Federation of the University of Ottawa, the school is expected to no longer recognize the SFUO as an undergraduate student association by Dec. 24. The decision followed the university’s alleged discovery of fraud and financial mismanagement by SFUO executive members earlier this year. In light of the situation unfolding at the University of Ottawa, student unions across the province are being asked questions about their financial transparency, accountability and management. 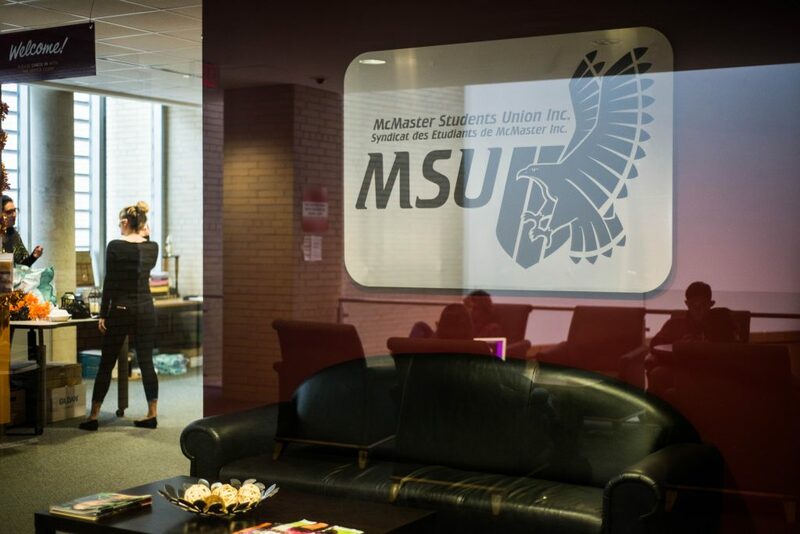 The McMaster Student Union undergoes a yearly financial audit to avoid any risks associated with financial mismanagement from any executive member or employee. The union’s annual audit stretching back to 2015 can be viewed on the MSU website. Each year, the MSU hires an accounting firm to conduct the audit for the consolidated financial statements. This year, the MSU worked with Klynveld Peat Marwick Goerdeler during the months of June and July to conduct the audit. KPMG published a fully consolidated report and audit findings regarding the MSU’s financial reporting. The audit findings report highlights various important items in its disclosure. Some of them concern risk of management override of controls, meaning the potential for the MSU to fraudulently misclassify information. Nevertheless, the 2018 annual audit reports a net loss of $149,900 compared to a gain of $660,403 in the previous year. “The loss is linked to poor market performance of the Toronto Stock Exchange and New York Stock Exchange over the past year, specifically during the months of January to April 2018,” reads part of the report. The report also notes that a number of cheques written out by the MSU have yet to be accepted by the payee. “These held cheques amounted to $51,962 for which KPMG has proposed an adjustment for which management has corrected. Upon further inquiry with management, the cheques primarily relate to student organizations and students on campus who have submitted a request to be reimbursed for expenses but have yet to collect the cheques,” reads part of the report. In addition, a cheque amounted to $70,659 issued to the university last February was held by the MSU. The reasons underlying this were not substantiated in the report. In previous years, KPMG raised concerns about the MSU’s inventory count procedures for Union Market, TwelvEighty and Compass. This was brought to the attention of the MSU in 2016 and they have since undertaken the necessary steps to ensure the procedures are appropriate again. KPMG has not noted any more issues regarding inventory count this year. When asked for specific details, Robinson stated that he could not specify further. Nevertheless, it appears the MSU’s systems of accountability are aligned with KPMG’S quality control objectives. The MSU Student Representative Assembly is mandated by corporate bylaws to approve the audited statements by Nov. 30 each year.